Fall in Northeast Ohio, a photo by ladywriter47 on Flickr. 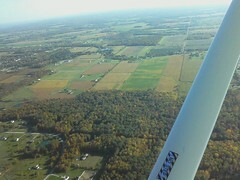 What a gorgeous day for flying! Glad you’re out there. It was beautiful, Joysann. I noticed a lot of motorcycles out enjoying it too. Hope you were able to do so as well.